I’d do a top 10 but am a little bit lazy so have decided to just pick 3 books from the many (50 ish) I read last year, to recommend. My preference is for historical or dual-timeline fiction but I read widely and don’t really care what the genre is (though I don’t read horror). So in no particular order, if you are looking for a great read try these. Amy Snow by Tracy Rees. This won the Richard & Judy Search for a Bestseller competition and I can completely see why. I thought it was brilliant. Mum bought it from the little WHSmith in the hospital, at a point when it looked like she was getting better. Actually I may have persuaded her to buy it, knowing I’d borrow it from her later. She never had the chance to read it in the end. It’s a historical mystery, with lots of twists and turns and a very satisfying ending. Looking forward to more from this author. Kate’s been a friend of mine for many years now, and I always read her books soon after they’re published. So I may be a little biased, but I can honestly say this is her best one yet. It’s raw and honest and an in-depth exploration of what an eating disorder can do to a family. Beautifully written with some wonderful characters. An epistolary novel set during the first and second world wars. A story of love growing out of a correspondence between a reclusive island-dwelling poet and her young American fan. Such a beautiful book – just wish I could write something as good as this myself. So, those are the three I’d pick out. But I’ve read plenty of other great books this year as well – eg The Lie by Cally Taylor, Girl Number One by Jane Holland (both fab reads if you like thrillers), Timestorm by Steve Harrison (18th century convict ship bound for Australia slips through time and ends up in modern day Sydney harbour…), and all of Carol Hedges‘ Victorian murder mysteries which are simply amazing and I can’t wait for the next one. Oh and can I add fellow Carina author AL Michael’s Driving Home for Christmas for a lovely, emotional Christmas read. Which brings me up to 8 recommendations. So I could have tried a tiny bit harder and come up with 10, I suppose! What was your best read of 2015? I didn’t set out to write a Regency romance novella. Not at all. I set out, way back in 2010, to write a full length novel. This was to be my practice novel, my prove-I-can-stick-at-it novel, my must-reach-the-end novel. I just wanted to write 80,000 words or more, then edit them into some sort of shape. I’d tried and failed at a couple of novels years back, and this time, wanted to show myself I could do it if I really tried. I’d been researching my family tree, and had come across some characters who fascinated me. When I could no longer find out any more about them I decided to fill in the blanks via fiction. This, I thought, could become a novel. I knew even as I wrote it that it was possibly only of interest to me and my immediate family, but I wasn’t trying to write a commercial novel – I was just trying to complete something of novel length. Didn’t matter what. So I wrote it, edited it, got some professional feedback on it (which said nice things like I was good at dialogue, my characters were well formed and developed well, I had some nice description which made the settings come alive; and also said what I already knew – that the novel was not commercial as it stood and would need a complete restructuring if I wanted to do anything more with it), and then I put the novel away. Its job was done – I’d written and edited 80,000 words. Gave myself a pat on the back for that. So with that novel under my belt I went ahead and wrote another, this one 93,000 words, knowing I was capable of it, and having learned a lot about how to structure long fiction, and how I personally like to write. This one ended up far more commercial, and one agent nearly took it on last year. Nearly, but sadly not quite near enough. 😦 Anyway, onwards ever onwards – I’m now mid-way through a third. But, those characters from my first novel kept nagging me. There was a large section in the middle which was basically a love triangle. What if, I thought, I chopped off the irrelevant beginning and the boring end, cut out superfluous characters and unnecessary plot strands, and strengthened what was left? Would that make a book in its own right? It was a wonderful lesson in major editing. I hacked and chopped and pruned, then added a new first chapter and tidied the end, then rewrote the entire thing. It was great fun to do. I ended up with 50,000 words and a story which hung together nicely. And is STILL based on my family history research, although I changed the surnames of the main characters. My lovely son created a cover for it, and I published it a couple of weeks ago, as Mr Cavell’s Diamond. Those who’ve read it seem to like it, judging by the reviews. So that makes it all worth while. And the lesson is – never, ever throw anything away. Nothing you write need ever be wasted. You never know when you might come up with the perfect way to use some of your early scribblings! … before I started publishing my books in print. 1. Formatting for print is a lot more complex than formatting for ebook publication. 2. It takes a lot longer to get it right. And you go cross-eyed going through it for the 59th time. 3. Just because the formatting looks ok on the Word document does not mean it’ll be right when converted to PDF, so it needs rechecking then. 4. My crappy computer won’t convert to PDF. Had to copy document to memory stick, run upstairs, and ask teenage son to do that. 5. This made teenage son roll his eyes and groan. Even more than he usually does. 6. Page breaks on the last line of the page in Word will end up adding an extra blank page on the PDF, thus throwing out all your chapter starts. 7. Teenage son’s friend is pretty good at using Photoshop and creating me nice covers, front back and spine. 8. Cover has to be PDF and under 40MB to upload to Createspace. Teenage son’s friend first sent it as a Photoshop document, 1,715MB. Then he converted it to PDF and it was 80MB. 9. If you use free PDF Compressing software you might compress too much and lose detail. I did, with one of the covers, but I uploaded it anyway. It wasn’t good enough. 10. When CreateSpace say the cover must be under 40MB to upload they mean it. So when teenage son’s friend managed to send me a version of the cover at 40.2MB it still wouldn’t upload. 11. Teenage son got fed up of being the go-between between me and his friend. 12. It’s lovely getting hold of the first proof copy of your book, even if it turns out not to be quite right. 13. Proof copies are printed in the USA and shipped across. You have to buy them and pay for the shipping. So it is worth checking everything you can (a) before you upload and (b) online on CreateSpace before you order the proof copy. 14. Even after all your checking there’ll still be something wrong. Your mate will spot that within seconds of you showing him the finished, published article. 15. Nevertheless, after all that it is rather lovely sitting here admiring a box of print versions of my books. I’ve done it. 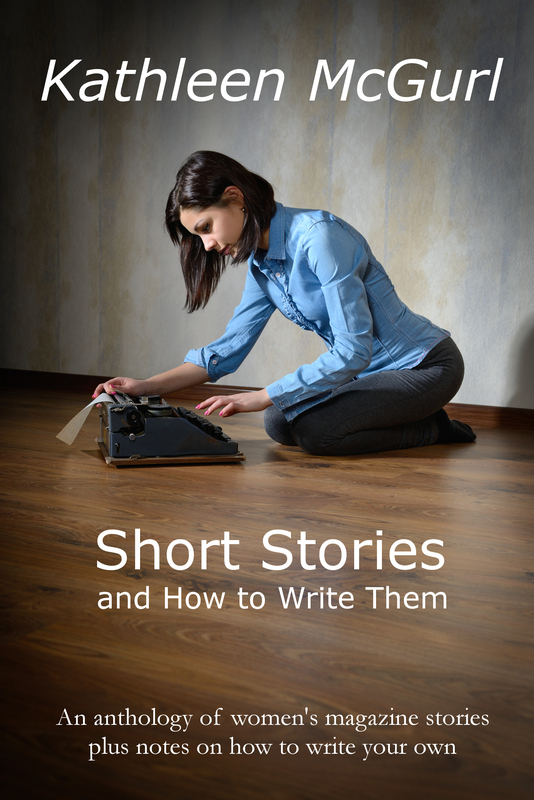 Short Stories and How to Write Them print edition is available from all Amazons now. Price £4.99 or less if Amazon decide to discount it. 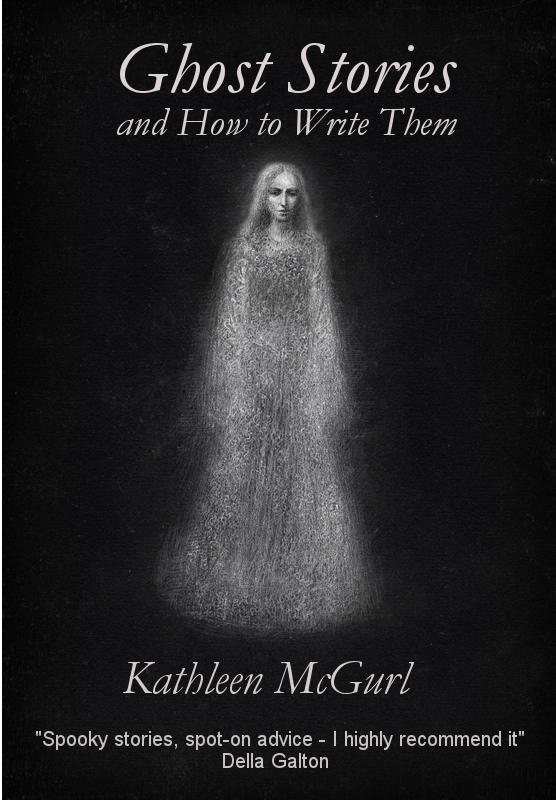 Ghost Stories and How to Write Them print edition is available from all Amazons now. Also £4.99. Both books are also available from Barnes and Noble as print books. Both books are second editions – extended from the original ebook with extra stories and discussions and a section on story prompts. The ebook has also been updated to the new, longer second edition.